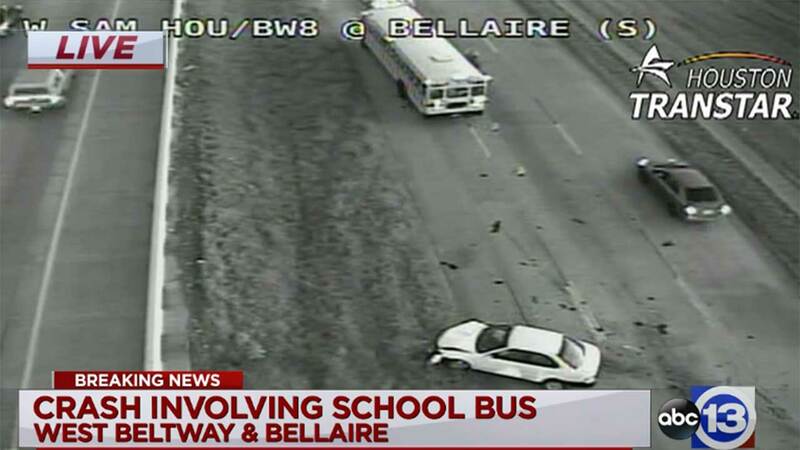 A bus was involved in a crash on the West Beltway at Bellaire Boulevard on the westbound feeder road lanes. A car is also believed to be involved. No children were on the bus. The bus is not affiliated with a school. The bus was filled with adult workers all wearing safety vests - headed to a work site.The bus is run by Creative Resource Group, which provides transportation services for industrial employees. The car suffered more damage than the bus. No one is believed to be hurt in the crash.